Today we have probably one of the most recognizable figures in the world of comedy with us here today. 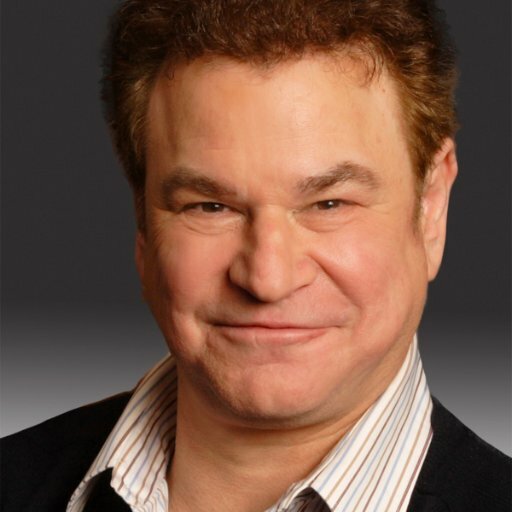 The great Robert Wuhl has been a staple in the world of entertainment as a comedian, writer, and actor for a few decades now. His career has been so varied and delightful it is almost unbelievable. It is definitely hard to dream up what he may be “best known” for with all the amazing work he has done. But, let’s try! Die hard Madonna fans will recognize that handsome mug for his appearance in her greatest music video to date, “Material Girl”. Baseball fans are sure to know his work in Ron Shelton classic films like Cobb and Bull Durham, as well as his successful HBO series Arli$$, which isn’t entirely about baseball, as we will discuss further. Oh and if we want to throw basketball in there, let us not forget Blue Chips, penned by Shelton. Then of course there are is 2 Emmy’s for writing for the Oscars during their glory days when Billy Crystal reigned supreme. And that is all without even mentioning his amazing life in the world of stand up, and performances in classic films like Good Morning Vietnam, Tim Burton’s Batman, and The Bodyguard. Or if you are just a dumb 90’s kid like me, he was that guy who wanted to flip out on Kel Mitchell in The Good Burger. Yep, that was my introduction to the genius of Robert Wuhl. Obviously I have become an actual adult and can respect Robert’s other works as well. But dammit if I don’t love me some Kenan & Kel! With that, we are honored today to be able to share a few words with the legend himself, the great Robert Wuhl! What lead you to the world of stand up comedy? Was it something you were always passionate about as a youth, or did you just sort of fall into it? I enjoyed watching stand ups growing up on TV (Ed Sullivan, Tonight Show, etc.) I wanted to break into filmmaking and following the path of Woody Allen, Mel Brooks and Paul Mazursky I began putting together a stand-up act to showcase my writing and comedic talents. The stand up world has obviously changed quite a bit since when you first started. What are your thoughts on the current world of stand up comedy, compared to what it used to be in the 80’s? Are things better in some ways? Worse? Certainly there are many more ways to be seen because of the internet, YouTube, etc. I think most things are generational so I couldn’t say if things are better or worse, they just are different. 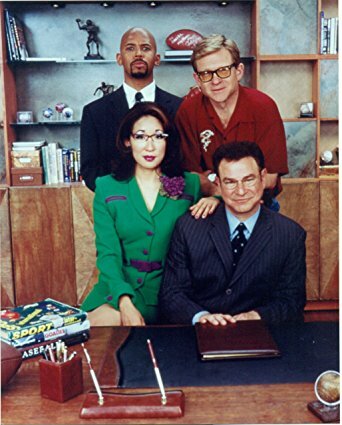 Your hit HBO show Arli$$ is one of those ground breaking classic shows that really set the precedent for what television would become, in my opinion. In your own personal opinion, what was it about this show that you felt made it special? I was trying to do a show about a guy running a business that happened to have a very specific, unique clientele. Fran Leibowitz, the author, once approached me at a party, saying, “I hate sports, but I love your show.” The thing is, the show was never about sports. It was about CHARACTERS in the world of sports which is a very different thing. I have always had a soft spot for Ron Shelton’s Bull Durham, in which you were amazing in by the way. But, the Shelton film, that you were also in, Cobb, is the one that has always stuck with me. All of these years later, what are your thoughts on this, in my mind at least, seminal film? Thank you for the kind words, Cobb has a special place for me. It was a project that Ron and I spoke about for years before it actually came to fruition. It was a job to make, however, as I learned, it wasn’t for everyone’s taste. It’s a dark tale and about a dark subject and also about celebrity and journalism in America. 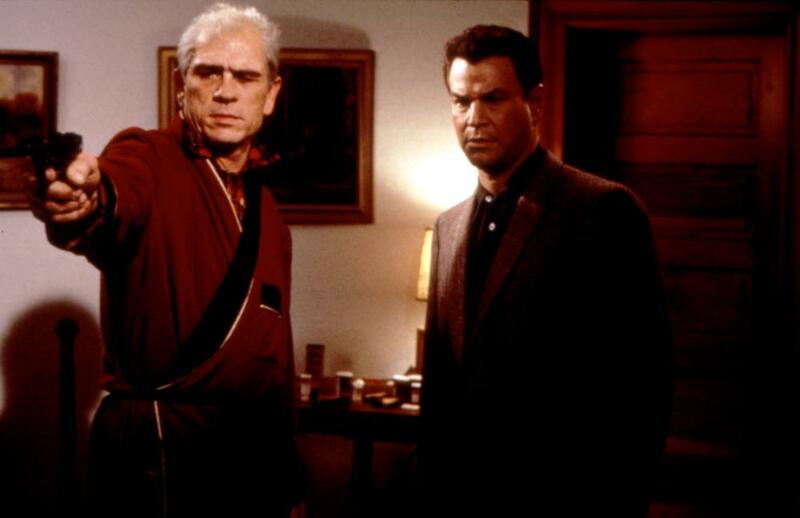 COBB, Tommy Lee Jones, Robert Wuhl, 1994, (c)Warner Bros. When you look back on your amazing career in so many different areas of the film and television world, what would you say you are most proud of? I’m fortunate in that I’ve been able to juggle a number of different balls and stay working. I can generally say that I’m proud of most of the body of work I’ve been a part of. Also, that I’ve been able to work with really really good people. And we always like to ask our statue holding friends this question: Where do you keep your Emmys, and does their physical locations hold a certain significance to you? They’re in my office. And not really. So what is next for you? Anything you can plug to our readers? I’m putting together a follow-up to my Assume the Position with Mr. Wuhl show entitled, Shistory Happens. The thing that makes me always smile — my dogs!